“Taking our hearts and looking them in the face is the essence of the wilderness experience. It doesn’t require sand and rocks, only sufficient silence for us to become aware of what we really feel, below the surface-stream,” Martin L. Smith wrote in A Season for the Spirit. Do we have a heart issue in our world? Though a heart issue can be physical, Smith is calling us to look at our spiritual hearts. “If you have HIV or AIDS, you are not welcome here.” I saw these bold words posted on a sign outside a church as I was on my way to speak at another church about how to minister to people who have HIV or AIDS. Talk about two worlds colliding: One church was closed to resolving its heart issues; the other church where I was to speak was working actively toward resolving their heart issues. Since 9/11, the world seems fearful of the Muslim community as a religious group. We have numerous examples of our collective lack of acceptance of people who practice Islam. In New Zealand, the terrible violence enacted by one person against a group of Muslims at prayer is unthinkable. To gun down any group of people who are focused in prayer with no possible way to defend themselves shows the impact of privilege, power and position existing among us. As I paid and thanked the man who does such a wonderful job of keeping my house functioning well, I was caught off-guard by his reply. Reasons we should “take our hearts and look them in the face” abound. Our collective actions continue to show we have heart issues. At the same time, we have numerous examples of where good is being done. We long to hear good news. Even of my local news stations has a segment called “Tell Me Something Good,” and the national nightly news ends with a positive story. Since positivity is one of my strengths, I long to hear positive stories. I long to hear about our positive relationships with each other and how we celebrate each other as being made in God’s image. The work being done in race relations is a source of some positive stories. Jemar Tisby spoke on our campus recently. He shared three practical and helpful concepts for addressing racial understandings that can be helpful for all of our relationships and interactions. • Awareness. Current technology makes it easy to become aware of groups, communities, organizations and individuals who are different from our predominant relationships. Interacting with and studying differing people and groups grows our awareness of all people. • Relating. 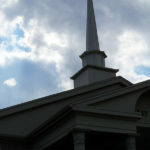 I assign students in the Urban Issues Course to visit a congregation different from their traditional place of worship. Experiencing prayers at noon at a local mosque provides a different experience than Sunday morning worship at a Baptist church. We have countless opportunities to learn from each other through various social settings in our communities, such as the various restaurants available to us. Even where we choose to live is important. One of the reasons I live where I do is because my small community is very diverse. African-American families, multi-generational Vietnamese families, Indonesian families, missionary kids, senior adults, middle-aged adults and young adults all live in my community. As we are together—and not separated—we will see God’s image on a daily basis. We will see each other as God made us! • Commitment. If we truly value treating and interacting with others as God desires, then our commitment must show itself through our actions. We must be willing to say out loud that people labeled as “the other” are valued because we all are made in God’s image. We also need to speak confidently about our opportunities for change. Some speak through voting. Others, speak by questioning the status quo in our communities and places of work. Commitment requires that we put actions behind our words and core values. For change to happen in our world, we must have a heart change.